We had a big fire behind us that had closed Hwy 97 near Fort Nelson, BC but we saw a lot of smoke throughout our travels. It was a bad fire season, the worst in about 10 years and they were not only in BC but also Alberta and Alaska so we saw plenty of sights like this one. We had a lot of road ahead of us and so much to see and do on our two month trip to tour the North country. 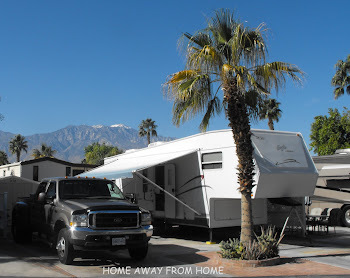 We were usually not booking RV parks ahead so were not in a hurry to make any particular time of arrival, but tried to pace our day that allowed for sightseeing and stops along the way and to be parked by late afternoon. The long summer days were certainly an advantage as we had several hours of daylight after arriving for the night. Stone Mountain is also the home of a Provincial Park. We could see Stone Mountain from quite a distance and it was definitely a ‘stone’ and aptly named. It is part of the Northern Rocky Mountains and offers some hiking trails in this area for those who are interested in seeing more up close. Stone Mountain is 2102 metres (6896 ft). It was July and that is usually a busy season for tourists but we really did not see a lot of traffic on these days. This is Summit Lake and there was a visitor but with nice summer temperatures as they were, we would have expected to see more. 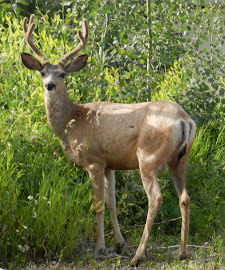 It is a rustic park but has amenities for camping and sits right at the side of the Alaska Highway, very easy access. Summit Lake sits at the highest point on the Alcan Highway at 1295 metres (4250 ft). The Northern Rocky Mountains offer some incredible sights as we follow the Alaska Highway that weaves its’ way among the mountains. Some of the summits in the area are very high but most of them would be behind the sights we are seeing here. We are basically driving along the northern edge of the Northern Rocky Mountains now. The Racing River is one of many that we see on our travels. There are so many rivers and creeks we cross over but this one offers an example of what is called a braided river. They consist of small channels separated by little islands created by high sediment loads being deposited as the water level varies and travels downstream. We saw a few old slides caused by heavy rain of years gone by. The worst one was in 1988, I believe this slide is part of that one which cut off the Alaska Highway in three areas. Another one affected five other areas, which has a very negative affect on transportation for the area as it cut off all traffic for several days. Our stop for the night was at Liard Hot Springs in the Provincial Park there. There is a long boardwalk giving us access to the hot springs as it covers a real pretty swampy area. I wouldn’t usually think of swampy as being pretty, but this one was! Areas such as this attract birds, reptiles and all kinds that are drawn to the vegetation and insects. Moose are often seen here, although we saw none, but they like the rich plants in here. The Liard Hot Springs is part of the provincial park and offers easy access, although it is a bit of a walk. We spent some time in the hot springs, which has some little branches that stem off of the main pool and took us into some of the greenery and hotter spots, too. The facilities are nice and it sits in a very picturesque location. We did not have to deal with any bugs or mosquitoes on our visit, either. This was a nice way to end our travels of the day.